Smith, Patricia R. Patricia Smith's Doll Values. Antique to Modern. Paducah. Collector Books. 1979. Octavo. Soft cover. First edition. Illustrated. Valuable reference work. Fine copy. Smith, Patricia. 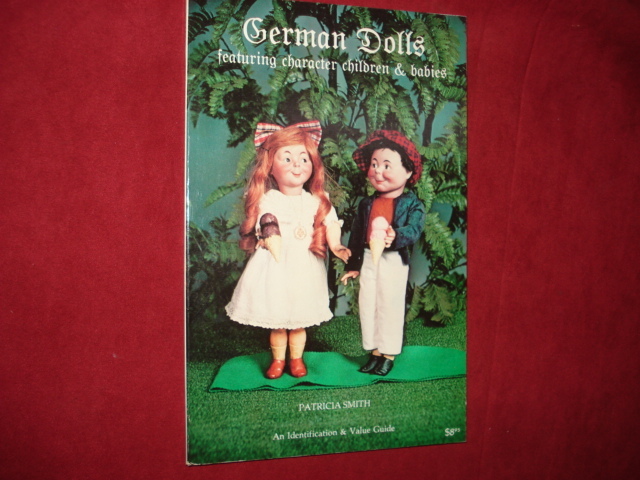 German Dolls. Featuring Character Children & Babies. An Identification & Value Guide. Photo available. Paducah. Collector Books. 1979. Octavo. Soft cover. First edition. Illustrated in black, white and color. Fine copy. Smith, Patricia. Madame Alexander Collector's Dolls. Photo available. Paducah. Collector Books. 1978. 4to. Hard cover. First edition. Illustrated in black, white and color. Fine copy in near fine (very light shelf wear) dust jacket (in mylar). Smith, Patricia. Madame Alexander Collector's Dolls. Photo available. Paducah. Collector Books. 1978. 4to. Hard cover. First edition. Illustrated in black, white and color. Fine copy (spine lightly faded). Smith, Riley K. Manachar and Munachar. Two Celtic Tales. Garden City. Doubleday. 1975. Octavo. Hard cover. First edition. Illustrated in black, white and color. Fine copy in very good (light shelf wear) dust jacket (in mylar). Smucker, Barbara Claassen. Cherokee Run. Chicago. Moody Press. 1966. Octavo. Hard cover. First edition thus. Illustrated. Fine copy in fine dust jacket (in mylar). Sneve, Virginia Driving Hawk. 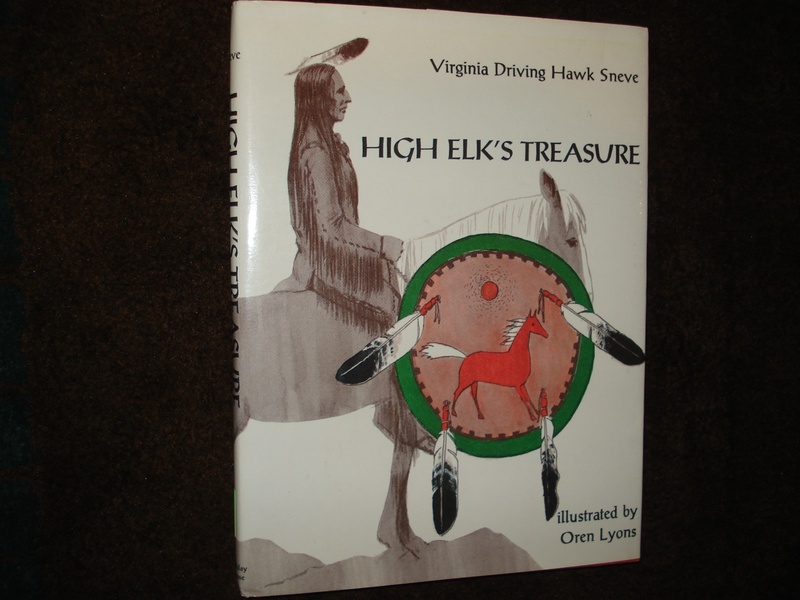 High Elk's Treasure. Photo available. New York. Holiday House. 1972. Octavo. Hard cover. First edition. Illustrated by Oren Lyons. Fine copy in fine dust jacket (in mylar). Snyder, Zilpha Keatley. The Changing Maze. Inscribed by the author. New York. Macmillan. 1985. Octavo. Hardcover. First edition. Illustrated in color and black & white by Charles Mikolaycak. Inscribed by the author. Ex-libris. Small paper label on spine, pocket in rear. Dust jacket glued down. So, Meilo and Hans Christian Andersen. The Emperor and the Nightingale. New York. Bradbury Press. 1992. Octavo. Hard cover. First edition. Illustrated in black, white and color by Meilo So. Fine copy in fine dust jacket (in mylar). Soto, Gary and Susan Guevara. Chato and the Party Animals. Inscribed by the illustrator. New York. G.P. Putnam's Sons. 2000. 4to. Hard cover. First edition. Illustrated in black, white and color by Susan Guevara. Inscribed by the Guevara. Fine copy in fine dust jacket (in mylar). Soto, Gary. Neighborhood Odes. San Diego. Harcourt. 1992. Octavo. Hardcover. First edition. Illustrated in color and black & white by David Diaz. Fine copy (owner name on end paper) in fine dust jacket (in mylar). Speed, Toby. Hattie Baked a Wedding Cake. New York. G.P. Putnam's Sons. 1994. Octavo. Hard cover. First edition. Illustrated in black, white and color by Cathi Hepworth. Fine copy in fine dust jacket (in mylar). Speir, John. Safari for the Tigrus. John Speir's Puzzle Masters. Pleasantville. Reader;s Digest. 1992. 4to. Decorated hard cover. Illustrated in color and black & white. Fine copy. Sperring, Mark. Find-a-Saurus. Photo available. New York. Chicken House. 2003. 4to. Hard cover. First edition. Illustrated in black, white and color by Alexandra Steele-Morgan. Fine (owner name on end paper) copy in fine dust jacket (in mylar). Spier, Peter. People. Garden City. Doubleday. 1980. 4to. Hard cover. Reprint. Illustrated in black, white and color. Fine copy in very good (light shelf wear) dust jacket (in mylar). Spier, Peter. People. Photo available. New York. Doubleday. 1980. 4to. Hard cover. Second edition. Illustrated in black, white and color. Fine (owner inscription on end paper) copy in fine dust jacket (in mylar). Spiers, John. Ghostly Games. Pleasantville. Reader's Digest Books. 1991. 4to. Decorated hard cover. First edition. Illustrated in color and black & white. Fine copy. Spiers, John. The Quest for the Golden Mane. Pleasantville. Reader's Digest Books. 1991. 4to. Decorated hard cover. First edition. Illustrated in color and black & white. Fine copy. Spohn, Kate. Broken Umbrellas. New York. Viking Press. 1994. Octavo. Hard cover. First edition. Illustrated in black, white and color by the author. Fine copy in fine dust jacket (in mylar). Spohn, Kate. Fanny & Margarita. Five Stories About Two Best Friends. New York. Viking Press. 1993. Octavo. Hard cover. First edition. Illustrated in black, white and color. Fine copy in fine dust jacket (in mylar). St. George, Eleanor. The Dolls of Yesterday. Dolls and Doll Collecting in Europe, and American During the Past 200 Years. Photo available. New York. Bonanza. 1968. 4to. Hard cover. First edition thus. Illustrated with photographs of over 450 dolls. Fine copy in fine dust jacket (in mylar). St. George, Judith. So You Want to be President. Photo available. New York. Philomel. 2000. 4to. Hard cover. Second edition. Illustrated in black, white and color by David Small. Fine copy in fine dust jacket (in mylar). Stadler, John. Hector. The Accordion-Nosed Dog. Scarsdale. Bradbury Press. 1981. Octavo. Hard cover. First edition. Illustrated in black, white and color. Fine copy in fine dust jacket (in mylar). Stanley, Diane. Bard of Avon. The Story of William Shakespeare. New York. Morrow. 1992. 4to. Hard cover. First edition. Illustrated in black, white and color by Diane Stanley. Fine copy in fine dust jacket (in mylar). Stapler, Sarah. Spruce the Moose Cuts Loose. New York. G.P. Putnam's Sons. 1992. Octavo. Hardcover. First edition. Illustrated. Fine copy in near fine (small chip, top edge) dust jacket (in mylar).